Dorothy L. Sayers and modernism. Aoife Leahy discusses modernist influences on Dorothy L. Sayers, such as Lewis Carroll and Oscar Wilde, in The Victorian Approach to Modernism in the Fiction of Dorothy L. Sayers (2009). About the image: The late Ian Carmichael as Lord Peter Wimsey in Dorothy L. Sayers's The Unpleasantness at the Bellona Club (1973). Princeton University Press blogs about its book Swindled: The Dark History of Food Fraud, from Poisoned Candy to Counterfeit Coffee by Bee Wilson, also noting the establishment of the Anti-Counterfeiting and Product Protection Program at Michigan State University. And take a look at the Ten Worst and Best Foods from the Center for Science in the Public Interest (no Progresso soups for you!). Product of the day: Book T-shirts. 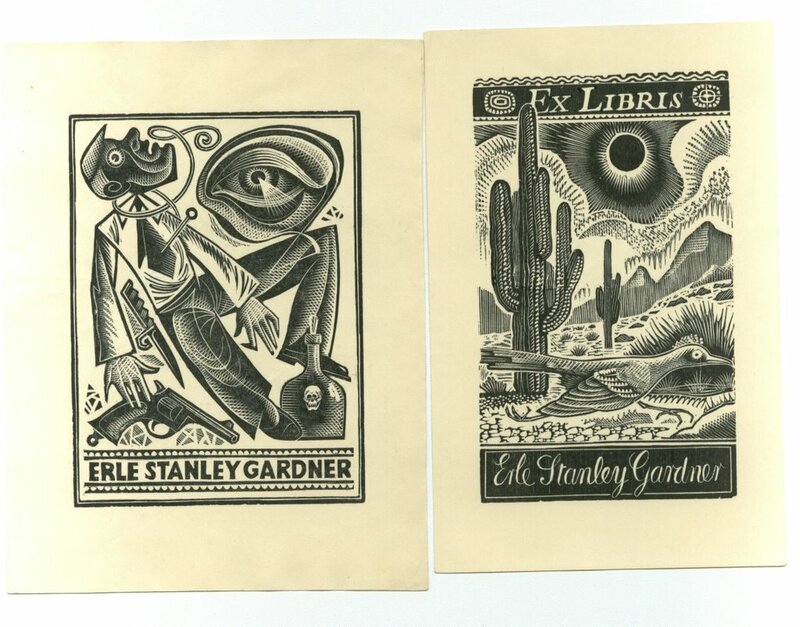 Out of Print Clothing has a Hound of the Baskervilles T-shirt, along with other book cover shirts such as Fahrenheit 451, Naked Lunch, and Invisible Man. 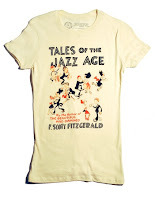 About the image: Out of Print Clothing's Tales of the Jazz Age T-shirt. The American Library in Paris. Larry T. Nix, on the Library History Buff Web site, reminds us of the distinguished history of the American Library in Paris, begun by the American Library Association in 1920 and still in existence today. A major figure in its operation, especially during the Nazi occupation of France during World War II, was Clara Longworth de Chambrun, sister-in-law of Alice Roosevelt Longworth and niece of Maria Longworth Nichols Storer, the founder of Rookwood Pottery. Staff members surreptitiously sent books to Jews, who were forbidden to use libraries by the German forces; one staff member was shot by the Gestapo. About the image: Countess Clara Longworth de Chambrun, 1913. Library of Congress, Prints and Photographs Division. The Library Company's online exhibition "Philadelphia Gothic: Murders, Mysteries, Monsters, and Mayhem Inspire American Fiction 1798–1854" examines that city's contributions to literary "lurid crime" and includes sections on Edgar Allan Poe, Robert Montgomery Bird, Charles Brockden Brown, George Lippard, and Aaron Burr associate Leonora Sansay (more on Sansay here). Two podcasts associated with the exhibition can be found here. About the image: Author-journalist George Lippard, ca. 1850. Library of Congress, Prints and Photographs Division. This podcast from London's Resonance 104.4 fm discusses how Patrick McGoohan's The Prisoner (considered by some to be the ultimate fate of McGoohan's spy John Drake from Danger Man/Secret Agent Man) has continued in other forms of media. Go to Johnny Rivers's Web site to hear a clip from "Secret Agent Man." 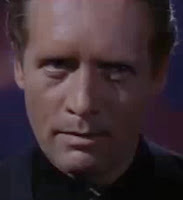 About the image: Patrick McGoohan as "No. 6" in The Prisoner (1967–68). The weird world of Arthur Machen. Dr. Adrian Eckersley of the Friends of Arthur Machen discusses with Malcolm Hopkins the career of Arthur Llewellyn Jones, aka Arthur Machen (1863–1947)—who inspired H. P. Lovecraft, among others, with works such as "The Great God Pan" (1894) and "The Inmost Light" (1894)—in this broadcast from the "Lost Steps" program of London's Resonance 104.4fm. Clues 25.1 (2006) featured Paul Fox's "Eureka in Yellow: The Art of Detection in Arthur Machen's Keynote Mysteries." As this Wall Street Journal article notes, NBA legend and actor Kareem Abdul-Jabbar is a mystery fan: Arthur Conan Doyle and Robert B. Parker. The return of The Poisoned Chocolates Case. Anthony Berkeley Cox's The Poisoned Chocolates Case (1929) returns to print today, courtesy of Felony and Mayhem Press. Journalist-critic and Detection Club secretary Cox (1893–1971) wrote many mystery works that feature his sleuth Roger Sheringham; other works of interest include "Holmes and the Dasher," a Sherlock Holmes parody in the style of P. G. Wodehouse (see Jugged Journalism, 1925), and the Detection Club's round-robin novels The Floating Admiral (1931) and Six Against the Yard (1936), in which Cox participated. His pseudonyms include Francis Iles (Before the Fact, Malice Aforethought). UK's Public Lending Right office has issued its latest data on the most borrowed authors in the last 10 years; some of those included are Harlan Coben, Lee Child, Patricia Cornwell, and James Patterson. French images of gaming through the ages. The beautifully illustrated exhibition at the Bibliothèque nationale de France "Jeux de princes, jeux de vilains" (Games of Princes, Games of Tricksters, if my imperfect French is correct) shows representations of gaming through history, including this far from pleasant image of Death from tarot cards and an image of the eighteenth-century Emmanuel-Jean de La Coste, a defrocked monk who counterfeited lottery tickets and was nabbed by the police. Faber and Faber's Flickr collection. • Michael Dibdin interviews Patricia Highsmith on the occasion of the publication of Ripley Under Water, Sept. 27, 1991. In the interview, Highsmith discusses Tom Ripley and Strangers on a Train. She also mentions that the German translation of Ripley Under Water sold 35,000 copies on the first day of release. • George V. Higgins talks about his novel Penance for Jerry Kennedy, May 8, 1985. • Elmore Leonard discusses his novel Maximum Bob, Sept. 18, 1991. • Panel on the European crime novel, Nov. 28, 1992, with Michael Dibdin and Susan Moody (UK), Laura Grimaldi (Italy), and Fernando Martinez Lainez (Spain). • One for Muriel Clark Corby with a raven, which seems Poe-inspired to me. And there's also the "Insane Department" at Philadelphia Hospital. As I'm a Noel Coward fan, be sure to check out Sir Noel's bookplate. Jules Verne—friend of Alexandre Dumas pére and author of Twenty Thousand Leagues under the Sea, Around the World in Eighty Days, and other highly imaginative works—was born today in Nantes, France, in 1828. The Maison d'Ailleurs in Switzerland has a permanent exhibition on Verne; the Dutch Jules Verne Society has an online selection of Verne-related materials from its archive; the Jules Verne Restaurant is located in the Eiffel Tower; Andrew Nash has a Web site on Jules Verne comic books; this short piece in The Bookman (1909) discusses the influence of Edgar Allan Poe on Verne; and illustrator Jim Tierney produced some Verne covers for his senior thesis. Christopher Fowler's latest in his Forgotten Authors series for The Independent focuses on Nevil Shute and Eric Ambler, although he does acknowledge that they still have a presence in today's literary world. One aspect of Shute's oeuvre he fails to mention: aeronautical engineer Shute's No Highway (1948; filmed as No Highway in the Sky, 1951), which sounded a prophetic warning against the dangers of metal fatigue in planes. Literally living at the library. On the NYPL blog, Sachiko Clayton discusses the superintendents who resided at various branches of the New York Public Library, including one man whose child was born in one library. Last year's "I Know Poe" exhibition sponsored by the Library of Virginia and the Poe Museum of Richmond is now online here. About the image: Poe's room at the University of Virginia, NYPL. Go here to read about Poe's time at the university. Illustrators try their hand at mystery characters. On Steve Gettis's Web site, various illustrators provide their interpretations of their favorite literary figures. Roger Langridge's Jeeves & Wooster are charming. Mystery-related subjects include Earl Derr Biggers's Charlie Chan, Raymond Chandler, Arthur Conan Doyle, Len Deighton, Erle Stanley Gardner, Dashiell Hammett, Chester Himes's Coffin Ed Johnson and Grave Digger Jones, Ed McBain's Carella and Meyer, and Edgar Allan Poe. BBC Radio 3: More on The Woman in White. This BBC Radio 3 Arts and Ideas podcast includes a discussion of Wilkie Collins's The Woman in White on its 150th anniversary. Comic books: The Hulk, Martin Luther King. The continuing life of McGoohan's The Prisoner.